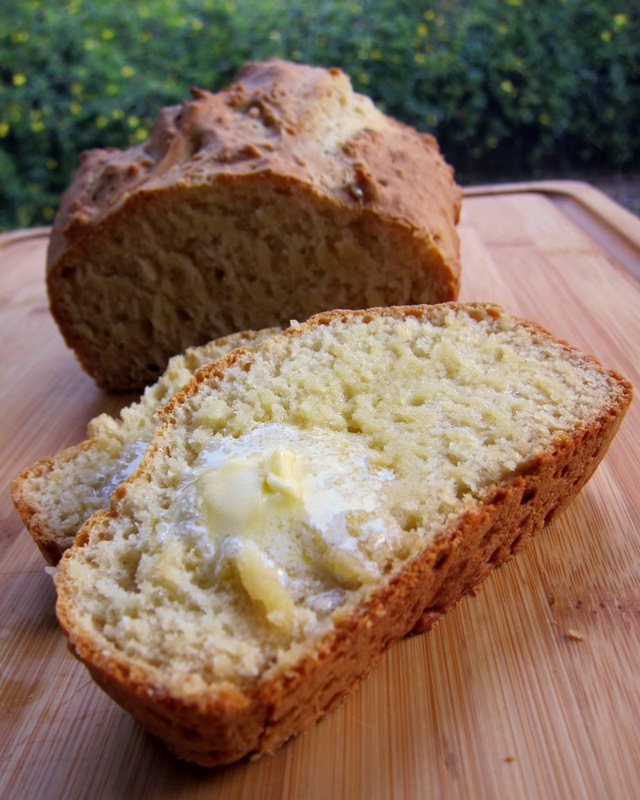 Irish Soda Bread - 4 simple ingredients! Great for your St. Patrick's Day dinner. 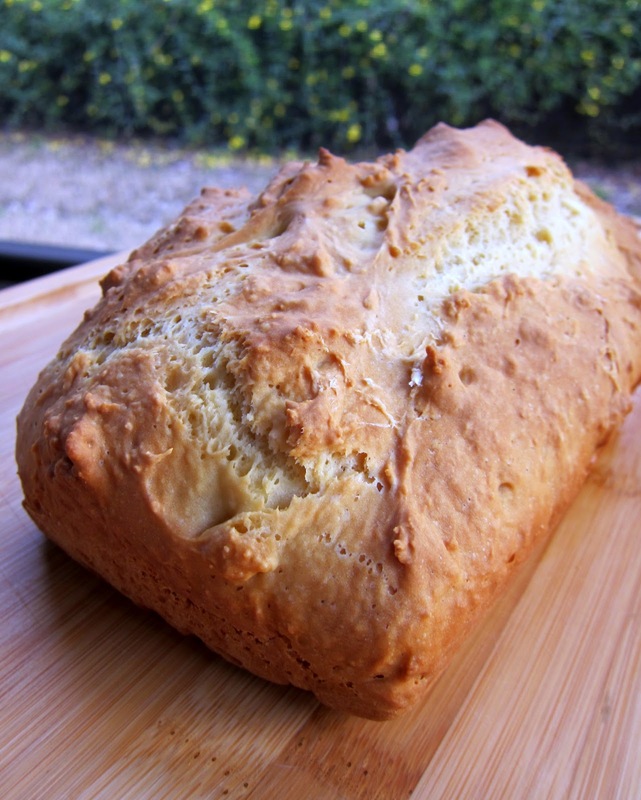 My final St. Patrick's Day week recipe is Irish Soda Bread. I know it isn't green, but it is still keeping with the Irish theme, so I'm going with it. This bread was super easy. Chicken Legs actually made it! It only has 4 ingredients and it tastes great. It is especially good with some honey butter slathered on it. I plan on making some cinnamon toast with it for breakfast tomorrow. Preheat oven to 375ºF. Lightly spray a loaf pan with cooking spray. Mix together all ingredients and form a soft dough. Add a little more buttermilk, a tablespoon at a time, if necessary. Pour dough into loaf pan. Bake for 35-40 minutes, until golden brown. I LOVE your recipes!! I made the Easy Spasagna, Gorgonzola Garlic Bread, and Coca-Cola Cake for dinner this week - awesome! I also found the Biscoff Spread at Wal-Mart. This bread recipe will help me use up the rest of the buttermilk for those other recipes I tried this week!!! Thanks, I'll make it for dinner tomorrow--looks too easy. I like that. Yum, looks delish! I'll take a piece for breakfast too! I love that this only has four ingredients, but looks so delicious! This is definitely going on my must try list! I literally just made this bread and it's delicious. I think next time I'll make a double batch because mine, although perfectly dense and golden, didn't make a lot. Delicious with a pat of margarine on it, though. 375ºF, just like it says in the recipe!